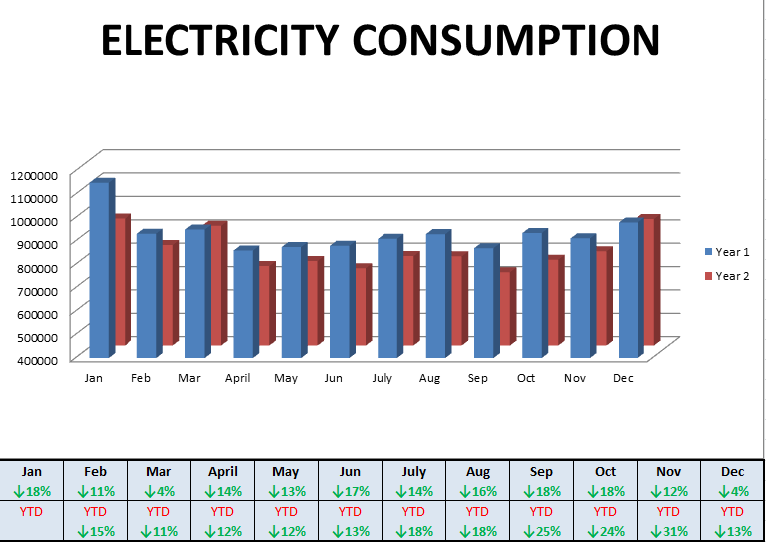 Electrical Energy Consumption Down average of 13%!. 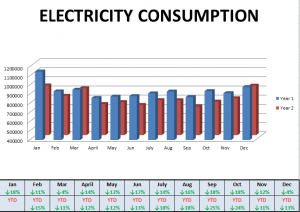 Electrical Energy Consumption Down average of 13%! 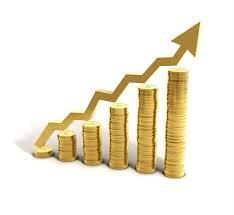 One of our major clients based in Cork has achieved great savings over the last five years. Through further development of the trend energy monitoring and targeting system for metering of Significant Energy Users, they were able to identify two main areas for improvement, Lighting and HVAC. Implementation of CO2 monitoring to regulate supply to various locations around the premises depending on the volume of CO2 (i.e. people) at any given time. InTouch Control SystemsNews & EventsElectrical Energy Consumption Down average of 13%!